The charm of a family house. The pleasure of a personalized welcome. 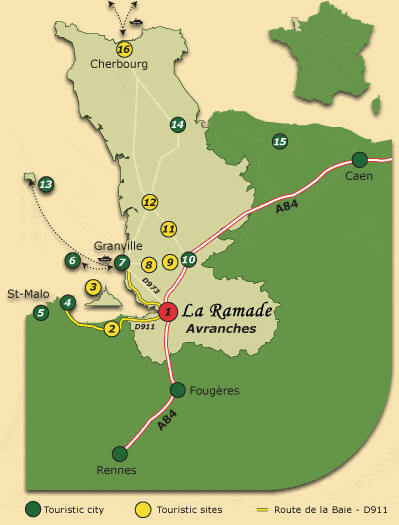 Nestling between sea and countryside, Normandy and Brittany, La Ramade offers an enchanting stop in green surroundings. 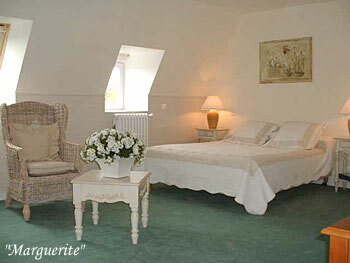 Véronique Morvan welcomes you in this family house close to the Mont Saint Michel. 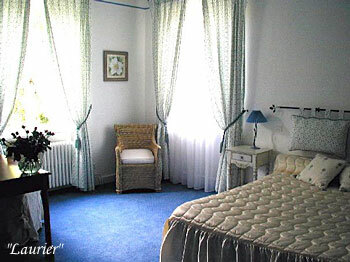 A combination of accommodations is available, in the 9 rooms and suite of the hotel or in the guesthouse, all recently renovated. Closed garden and private parking. The hotel is surrounded by a large park with various trees. A tennis table is at your disposal if you like sport. 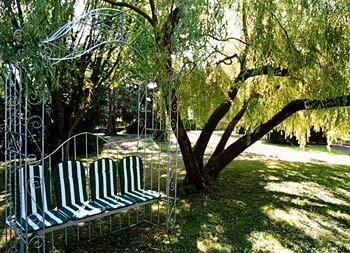 Others can read under a romantic gazeboo or rest on a deckchair. 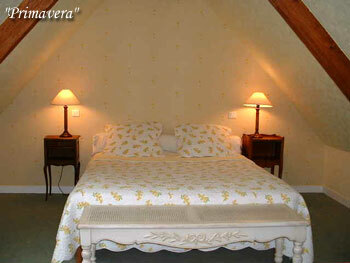 The 9 rooms (8 bedrooms and one suite) of La Ramade are very comfortable, all of them wearing the name of a flower. 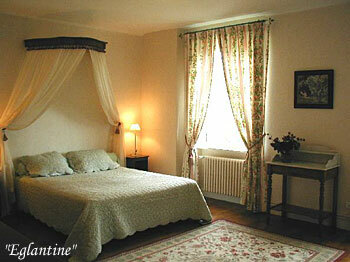 Each room boasts a different style and cozy decor with different furniture. The rooms have en suite bathroom (bath, simple shower or shower with hydro massage, hair dryer) as well as private toilets. They are equipped with television with French and foreign channels as well as an internet connection. Whether you come alone, in couple or family, you will find the adequate accommodation. 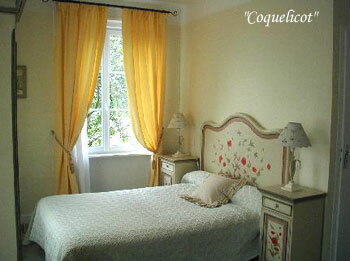 The family rooms allow sleeping place for 3 or 4 persons and the suite Primavera has a private terrace on the garden. At the ground floor, a room is equipped to allow an easy access for handicapped persons. Hotel Prices ARE AVAILABLE UPON REQUEST. 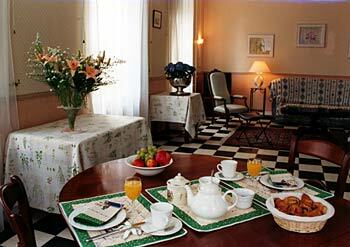 To begin the day, Ms. Morvan will serve you a nice breakfast in the main room or in the garden if weather allows it. Why not take this opportunity to discuss with me about the program of your stay ? A large documentation is at your disposal in order to discover the natural and cultural heritage of the region.